And yet, here it is: Barack Obama vs. Mitt Romney, an African-American and a white Mormon, representatives of two groups and that have endured oppression to carve out a place in the United States. How much progress has America made against bigotry? By November, we should have some idea. "Americans like to obsess about ways that people are different," said Wadsworth, a political science professor at the University of Denver. Voters of all types say that a candidate's race or religious beliefs should not be cause for bias, "but Americans are really conflicted about this, and they talk out of both sides of their mouth." The gap between America's high-minded ideals and narrow-minded practice is not new, of course. In 1620, the Puritans landed on Plymouth Rock searching for religious freedom; the Constitution forbade a religious test for president. And yet the religion of presidential candidates has historically been a major issue, though nearly all have been Protestant. Thomas Jefferson, who coined the phrase "separation between church and state," was decried as godless; nearly 160 years later, John F. Kennedy was tarred as a Roman Catholic who would answer to the pope instead of the American people. In 1787, the same colonists who had demanded equal rights in their dealings with England wrote a Constitution that reduced blacks to three-fifths of a person. Nearly 80 years would pass before that changed, and another century before blacks would be assured the vote. Barack Obama remains the sole member of the most exclusive club in the world: racial minorities who were nominated for president by a major party. In 2012, it's unlikely that more than a smattering of die-hard bigots will be repelled by both presidential choices. But even well-intentioned people can be influenced by the powerful emotional pull of these issues. Obama has been assailed with racially charged accusations since he became the first black president: Obama isn't a citizen; he refused to punish New Black Panthers who intimidated white voters; he's seeking payback for past white racism by redistributing tax money to poor minorities; he's using the Trayvon Martin killing for political gain. Wes Anderson, a Republican consultant and pollster, said many white swing voters who chose Obama in 2008 think he has governed further to the left than they expected, which has fed ideas that Obama is a typical "black liberal politician" who is "pandering to minorities." "From their perspective, I think race will be a convenient excuse for why he has not met their expectations," Anderson said. Wadsworth said that even after three-plus years of a black president, racial bias remains "super loaded and super coded." "It's coded into political 'otherness' — he's a socialist, he's dangerous, maybe a Muslim," she said. "I think down underneath there's a lot of race bias, it's just that they've figured out ways to channel that into seemingly race-neutral codes." Then there's bald racism. This April, bar owner Patrick Lanzo in Paulding County, Ga., posted a roadside sign outside his establishment that used the n-word to convey his disdain for the president. "I don't feel bad about (the sign) whatsoever," Lanzo told Fox 5 news in Atlanta. 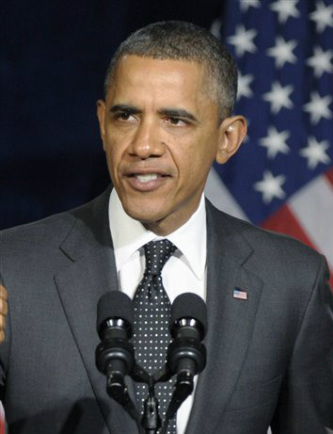 Obviously, Obama's victory in 2008 did not put racial issues to rest. "He is never on stable ground, racially," Wadsworth observed. Romney, too, has tried to push past anti-Mormonism, with mixed success. His membership in the Church of Jesus Christ of Latter-day Saints has been an issue his entire political career. In 2007, during his primary battle against John McCain, he gave a speech to quiet concerns about his faith. "I do not define my candidacy by my religion. 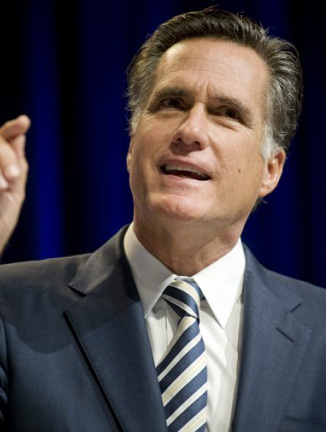 A person should not be elected because of his faith nor should he be rejected because of his faith," Romney said in the speech, which used the word "Mormon" only once. There continue to be blatant expressions of hostility toward Mormons — there is an "I Hate Mormons" page on Facebook, where one Colleen Anderson posted that "Mormons are just brainwashed freaks" on April 4. But J.B. Haws, a historian at Brigham Young University who researches public perception of the Mormon church, said most common suspicions about Mormons have already been rehashed in the last election and this year's GOP primary, so moving forward the discussion is likely to be more substantive and informed. "But that doesn't change the fact that the questions will still be tough and pointed," Haws said. The Mormon church was founded in 1830 by Joseph Smith, who said God directed him to restore the true Christian church by revising parts of the Bible and adding the Book of Mormon as a sacred text. Smith said an angel directed him to a buried holy book in upstate New York, written on golden plates, which he translated from "reformed Egyptian" into the Book of Mormon. Theological differences have led many Christians to conclude that Mormons are not part of historic Christianity. There have been gibes directed at Mormon rituals. In February, when Romney decried the fact that the rate of out-of-wedlock births for "certain ethnic groups" was high, New York Times columnist Charles Blow tweeted, "I'm a single parent and my kids are amazing! Stick that in your magic underwear." One of the toughest questions will likely focus on the Mormons' former ban on men of African descent in the priesthood. When the church lifted the prohibition in 1978, leaders didn't explain the theology behind it. That left questions about church doctrine on race, even though Mormon leaders repeatedly denounce racism. It's an issue that Mormons discuss among themselves. But when it's brought up in a campaign setting, many Mormons say it's just an attempt to embarrass Romney. Several conservatives have recently predicted that liberals — rankled by Mormon opposition to gay marriage and emphasis on stay-at-home motherhood — would use religion to "smear" Romney. "It's way out of bounds, but that's what's going to happen," said the Mormon senator Orrin Hatch, R-Utah. But liberals are not the only ones who are suspicious of the Mormons. Vice President Joe Biden told Esquire magazine that faith shouldn't be a factor in elections, so "that's why I'm so angry about the way they're treating Romney." By "they," Biden was likely focusing on evangelicals, who make up a big part of the GOP base. When Liberty University, the school founded by the late Rev. Jerry Falwell, announced Romney as commencement speaker, hundreds of angry comments were posted on Liberty's Facebook page by people who said they were students or alumni, objecting to giving a Mormon a platform. The school responded by affirming its welcome to Romney. But evangelicals are among the country's most politically conservative voters, and "they're going to hold their nose and vote for Romney. They're certainly not going to join the Obama campaign," said Patrick Mason, author of "The Mormon Menace: Violence and Anti-Mormonism in the Postbellum South." "Is the bigger problem for Romney not evangelical Christians, but more secular voters who are skeptical of what Mormonism is, or just ignorant?" Anderson asked. Perhaps it is just their growing hostility to religion in general, Mason said. "Mormonism becomes the lens through which they can paint their critique." Regardless, the Romney campaign "would be crazy if they didn't have a plan in place already" to deal with Mormon bias, said Mark Noll, a University of Notre Dame historian who wrote "God and Race in American Politics," ''just like Obama's people are just dusting off whatever they had ready in 2008." In 2008, racial issues threatened to torpedo Obama after the emergence of militant pro-black sermons by his former pastor, Jeremiah Wright. Obama defused the issue with a major speech on race, but the Wright connection fed a GOP narrative that Obama was not "one of us." Democrats labeled such statements coded language that appealed to racial prejudices. In the final stages of his losing campaign, McCain declined entreaties from some advisers to use Wright's sermons to attack Obama. "John McCain, whatever else you want to say about him, did not use all the racial weapons he could have used," said Randall Kennedy, a Harvard Law School professor and author of "The Persistence of the Color Line: Racial Politics and the Obama Presidency." "Well, McCain lost," Kennedy continued. "I can't help but think that this time around, if there is anything that could plausibly be used, no matter how ugly, it will be used. So I anticipate a very messy, ugly campaign." "I hope I'm wrong," Kennedy said, "but I expect it to be worse." Jesse Washington covers race and Rachel Zoll covers religion for The Associated Press. They are reachable at http://www.twitter.com/jessewashington and http://www.twitter.com/rzollAP .